Keeping stationery items and other things in an organized manner keeps the user worried free about the misplacing of the things. In addition to this, a user also makes his or her place clean and tidy by storing small things at one place only that create mess spreading in the room. Organizer box has come up with the best solution to manage the things systematically at a single place. 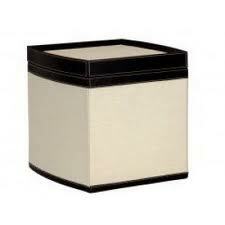 This high utility item keeps files, pencils, pens, scale, diary, and other stationery items safe and secure. And if this is designed from jute, a natural fiber, it comes with varied natural qualities that are hard to find in any other material. Jute organizer box finds wide application in offices, home, school, college, institution, bank and various other places to keep the things arranged. This jute organizer box designed from jute is highly trendy and stylish that augments the interiors with its unmatched beauty. Its unbeatable styles, patterns, designs and specification give a striking look to the place, where it is kept. Moreover, it also adds a stunning look to the user, if he or she carries it. This highly functional item is known in the market for high durability, strong and sturdy nature as it is designed from â€˜Golden Fiberâ€™, Jute. With long lasting life, jute organizer bags provide high performance for years to come without any maintenance. It can be easily cleaned using a damp cloth. It is abrasion, heat and fire proof that also increases its value as well as life. Perfect for rough and tough usage, it is renowned for high wear and tear resistant property. It is quite handy and light in weight, hence can be easily carried anywhere. Eco friendly and bio degradable in nature, this feature loaded jute organizer box can be availed at very least prices.